The Salimetrics™ Salivary Melatonin Assay Kit is a competitive immunoassay specifically designed and validated for the quantitative determination of melatonin in saliva for research or circadian/biorhythm assessment. The Salimetrics propriety ELISA format allows melatonin assay results in four hours or less with a single sample and one wash step. Salimetrics salivary assay kits are expertly designed, developed and validated to ensure accuracy in saliva and proven to deliver precision results for salivary biomarkers. Our specifically designed antibody promises precise and accurate results in less time. 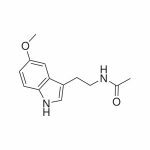 Melatonin (N-acetyl-5-methoxytryptamine) is a compound secreted mainly by the pineal gland, but synthesized also in many other tissues and cells. In humans, nocturnally peaking oscillations of melatonin are involved in sleep-wakefulness where melatonin concentrations are lower during the day. In recent years, the role of melatonin and its metabolites have been identified as potent, broad acting antioxidants and free radical scavengers in addition to a playing a role in the upregulation of antioxidant enzymes. Melatonin levels in plasma are paralleled by corresponding variations in saliva where the saliva concentrations are about 30% of that found in plasma. The Salimetrics Salivary Melatonin Assay Kit enables researchers to determine Dim Light Melatonin Onset (DLMO), the most precise index for assessing circadian biorhythms. Knowing the timing of a patient’s nocturnal melatonin secretion, reliably evaluates the sleep-wake cycle to determine alignment or misalignment (phase delay or phase advance) from a typical 24-hour entrained circadian clock. Temporal shifts on the resulting Phase Response Curve can indicate abnormal sleep-wake patterns and provide researchers and clinicians an important tool for sleep disturbance assessment. The Salimetrics Salivary Melatonin Assay sets the industry standard with higher specificity and consistency between tests, and a lower variability between replicate tests. High quality reagents, including an antibody selected for optimal performance in saliva, ensures the most accurate characterization of DLMO. 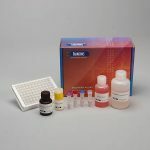 The Salimetrics Melatonin Enzyme Immunoassay Kit is a competitive immunoassay specifically designed and validated for the quantitative measurement of salivary melatonin. It is not intended for diagnostic use. It is intended only for research use in humans and some animals. Salimetrics has not validated this kit for serum or plasma samples. Melatonin (N-acetyl-5-methoxytryptamine) is a compound secreted mainly by the pineal gland, but synthesized also in many other tissues and cells. In humans, nocturnally peaking oscillations of melatonin are involved in sleep-wakefulness where melatonin concentrations are lower during the day. In recent years, the role of melatonin and its metabolites have been identified as potent, broad acting antioxidants and free radical scavengers in addition to playing a role in the upregulation of antioxidant enzymes. Melatonin levels in plasma are paralleled by corresponding variations in saliva where the saliva concentrations are about 30% of that found in plasma. Measurement of salivary melatonin is advantageous, especially to avoid invasive venipuncture procedures. This is a competitive immunoassay kit. Melatonin in standards and samples compete with Melatonin conjugated to horseradish peroxidase for the antibody binding sites on a microtitre plate. After incubation, unbound components are washed away. Bound Melatonin Enzyme Conjugate is measured by the reaction of the horseradish peroxidase enzyme to the substrate tetramethylbenzidine (TMB). This reaction produces a blue color. A yellow color is formed after stopping the reaction with an acidic solution. The optical density is read on a standard plate reader at 450 nm. The amount of Melatonin Enzyme Conjugate detected is inversely proportional to the amount of Melatonin present in the sample.